Good! You have proxy server(s), lets say that one is: 210.176.165.168:3128. Now you will need to start Opera. Click on Opera (circle #1) logo. 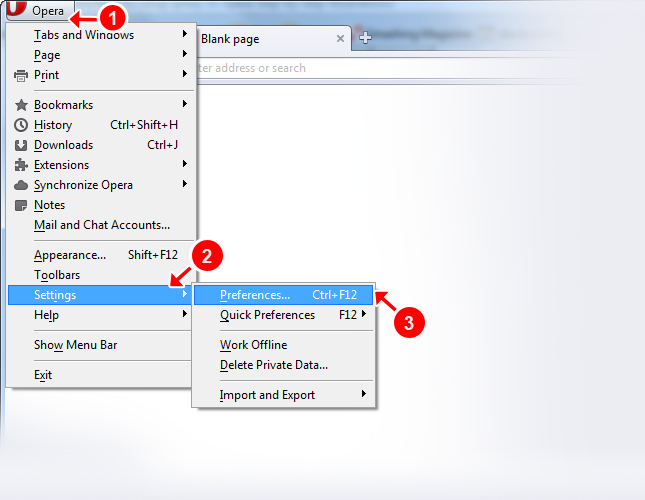 In menu select Settings (circle #2) and hen Preferences... (circle #3) in the list as shown below. 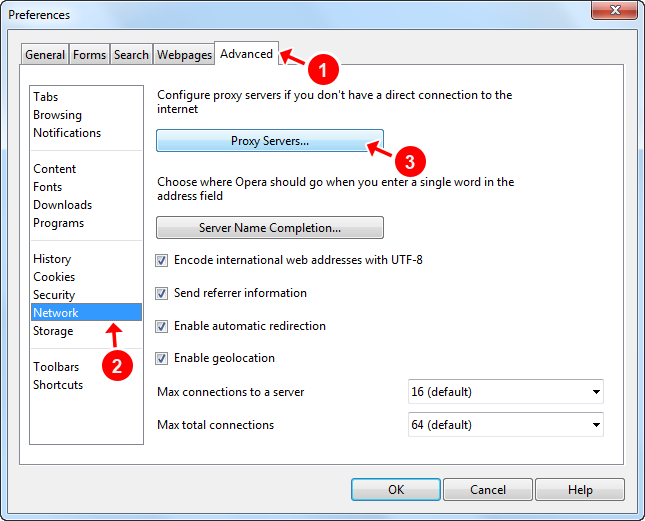 Move to the Advanced (circle #1) tab, in the list which is shown left select Network (circle #2) as shown bellow and click Proxy servers... (circle #3) button. Now check the boxes labeled HTTP (circle #1). 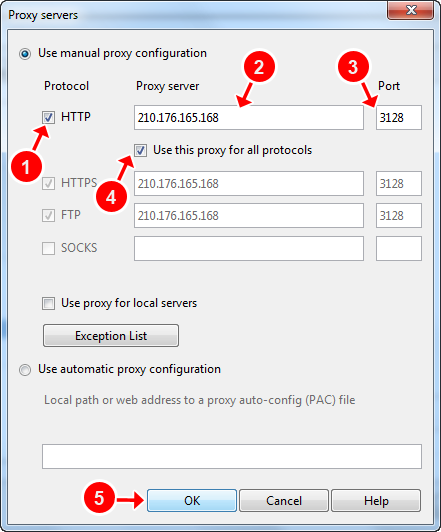 Type your proxy servers IP address next to the label HTTP (circle #2) and proxy port next to Port (circle #3). Check the Use this proxy for all protocols (circle #4) and finally click OK (circle #5) button as shown below. Now you have successfully setup proxy for your Opera.